In August 2018, we launched the AWS Amplify command line interface (CLI). 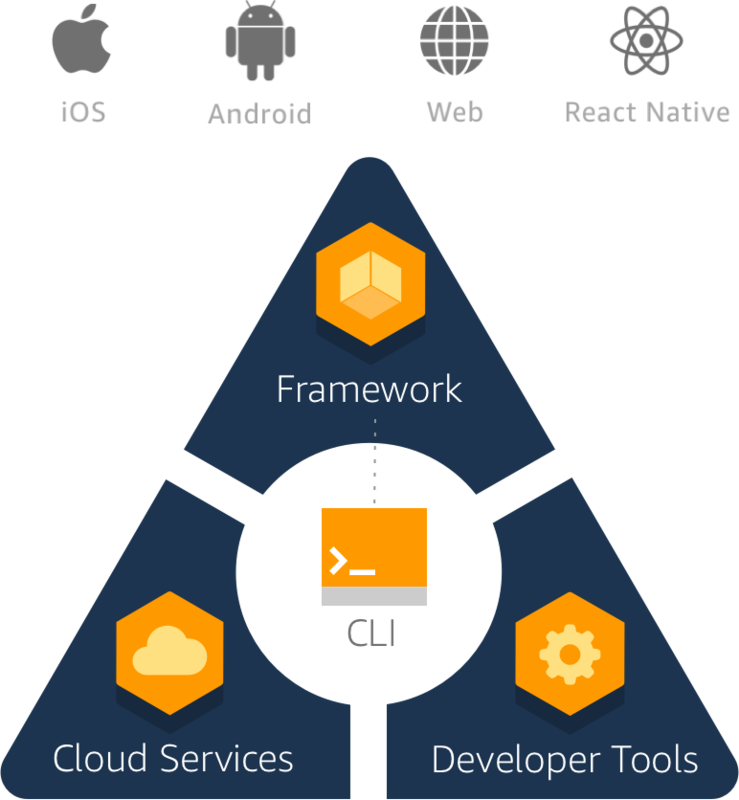 The Amplify CLI makes it easier to provision and maintain app backends, and integrate them into iOS, Android, React Native, and web apps. We also extended the AWS Amplify library from its React beginnings to include support for Angular, Ionic, and Vue. With these launches and the help of the community, AWS Amplify has become a complete, open-source client framework. One of the consistent pieces of feedback that we’ve heard is that it’s hard to find information about modern app development because it’s fragmented across numerous service documentations, GitHub, and samples. Today, we recognize the critical role that AWS Amplify plays in cloud-connected mobile and web application development. We’re consolidating mobile and web client development resources in a single place as part of AWS Amplify. The heart of AWS Amplify remains the open source client framework, now referred to as the Amplify Framework. To further extend the capabilities of AWS Amplify, we’re also introducing the AWS Amplify Console for deploying and hosting web apps. AWS Amplify is a powerful framework and toolset that enables you to write modern UI-driven and scalable client-server applications across all major languages and platforms. The open source Amplify Framework provides an opinionated set of libraries, UI components, and a command line interface to build an app backend and integrate it with your iOS, Android, Web, and React Native apps. The Amplify Framework leverages a core set of AWS Cloud Services to offer capabilities including offline data, authentication, analytics, push notifications, bots, and AR/VR at high scale. The AWS Amplify developer tools include the AWS Amplify Console for building, deploying, and hosting web apps and AWS Device Farm for testing mobile apps on real iOS and Android devices. One of the issues with developing web applications is deployment. The frontend and backend deployments must happen in a coordinated fashion. The AWS Amplify Console is a continuous-deployment lifecycle engine that’s specifically designed for modern web applications—including common single-page app frameworks like React, Angular, and VueJS, and static site generators like Gatsby, Hugo, and Jekyll. With the AWS Amplify Console, you create a project and link it to your source code repository (located in GitHub, GitLab, BitBucket, or Amazon CodeCommit). The AWS Amplify Console enables you to provision your backend resources, build your application, and deploy it to a CDN-powered, secure website. This helps you to continuously and automatically deploy both the backend and frontend resources that you configured through the Amplify CLI just by checking in a change to your source code repository. What’s happening with AWS Mobile Hub? Provisioning and maintenance of the mobile backend. Solved by using the Amplify CLI. Secure hosting and continuous deployment of web applications. Solved by using AWS Amplify Console. We took the great things that AWS Mobile Hub offered and added them to the Amplify CLI and the AWS Amplify Console. All of AWS Mobile Hub’s functionality and much more, are now part of AWS Amplify. Over the coming months, we will be encouraging all our developers to move their apps from AWS Mobile Hub to AWS Amplify. We hope you’ll take this opportunity to amplify your mobile and web application development, and we’re available to support you. For more information about AWS Amplify, check out our new home page.